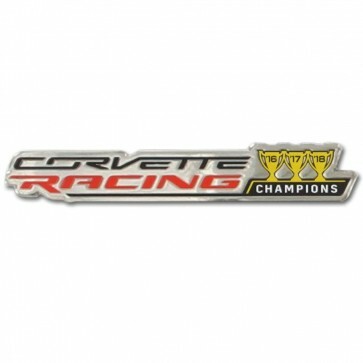 Celebrate 3 consecutive years as Team and Driver Champions with our new Corvette Racing Champions Lapel Pin. 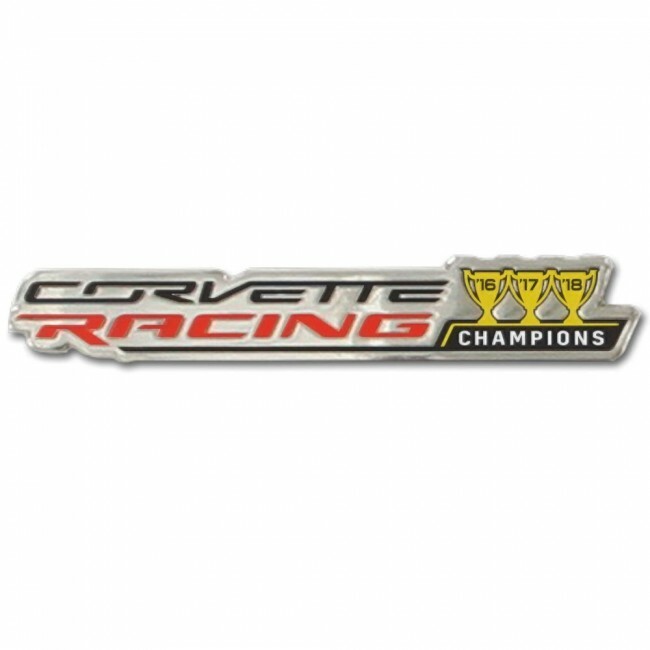 Your pin includes the Corvette Racing logo with Champions Trophies for 2016, 2017 and 2018. 2.5" W x 7/16" H.